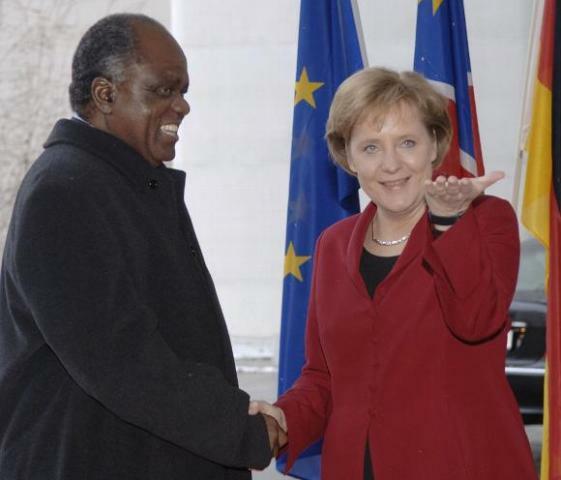 Namibia's diplomatic relations with Germany have had their own challenges and opportunities. Soon after Namibia's independence in 1990, the country established diplomatic relations with Germany. With Germany having colonised Namibia from 1884 to 1915, the relationship between the countries marked the beginning of a new era. However, while we acknowledge the process where Namibia and Germany started a new chapter in their relations, it is pertinent that we appreciate the efforts of those who laid the groundwork which led to these successful relations. The SWAPO leadership in exile worked closely with leading personalities of the Sozialdemokratische Partei Deutschlands (SPD/Social Democratic Party of Germany), the Green Party, and the long-serving German Foreign Minister, Hans-Dietrich Genscher. This relationship extended to working with churches, student/youth and solidarity organisations, foundations and other non-governmental organisations (NGOs). Herr Genscher and leading personalities within the SPD, in particular, played a vital role in facilitating meetings between SWAPO and German leaders and institutions in that country. truth and reality about SWAPO and the UN's agenda. Understandably, they did not want the white community in the then South West Africa to be blinded by the South African Government's negative propaganda about SWAPO's efforts. Genscher's even-handed approach in this regard was much appreciated by SWAPO. * Prof. Peter Katjavivi served as Namibia's Ambassador to the European Union and, later, to Germany and was also the Founding Vice Chancellor of the University of Namibia. He was SWAPO's Chief Whip in the National Assembly and currently serves as Speaker of Parliament. Der namibische Präsident, S.E. 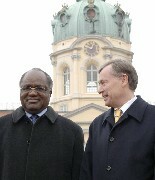 Hifikepunye Pohamba, war der erste ausländische Staatsgast der neu gewählten bundesdeutschen Regierung unter Bundeskanzlerin Dr. Angela Merkel am 28 November 2005. Weitere Pressemitteilungen zu den bilateralen Beziehungen zwischen der Bundesrepublik Deutschland und Namibia finden Sie auf der web-Seite des Bundespräsidenten, des Auswärtigen Amtes, der web-Seite des Bundesministeriums für wirtschaftliche Zusammenarbeit und Entwicklung, BMZ, der web-Seite der Gesellschaft für Internatinoal Zusammenarbeit, GIZ und der Kreditanstalt für Wiederaufbau, KfW (und dann geben Sie "Namibia" als Suchbegriff in den "search button").